Search For "Healthcare" Companies in Saint Paul, Minnesota - Click Here Now! Body By Vi Is A 90 Day Health Challenge To Transform Your Life! Created By ViSalus Sciences To Challenge The World To Set A Personal Goal And Make Health A Priority For At Least 90 Days, While Awarding Participants With Over $10,000,000 A Year In Free Product, Prizes And Vacations. For Those Who Really Love Promoting The Challenge, ViSalus Has Created A Career Path Where People Can Earn Spare-time, Part-time, Or Full-time Income By Simply Sharing The Challenge With Others. There Are Over 10 New People A Day Qualifying For New BMWs Just For Promoting The Challenge! Who Wouldn't Want To Save Money On Food, Make A Little Extra Income Helping People Get Healthy, And Get Their Car Payment Covered By ViSalus? 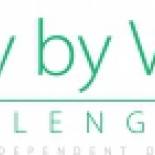 The Challenge Is Attracting A Very Diverse Group Of Promoters, Including College Students, Nationwide Gym Chains, Stay At Home Parents, Fitness Legends, Retired Couples, Celebrities, Business Executives, Professional Athletes, And Everyone In Between. Body By Vi - Brian Baldus in Saint Paul is a company that specializes in Home Health Care Services. Our records show it was established in Minnesota.